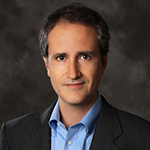 Antonio Ortega received the Telecommunications Engineering degree from the Universidad Politecnica de Madrid, Madrid, Spain in 1989 and the Ph.D. in Electrical Engineering from Columbia University, New York, NY in 1994. At Columbia he was supported by a Fulbright scholarship. In 1994 he joined the Electrical Engineering department at the University of Southern California (USC), where he is currently a Professor. He has served as Associate Chair of EE-Systems and director of the Signal and Image Processing Institute at USC. He is a Fellow of the IEEE, and a member of ACM and APSIPA. He has been Chair of the Image and Multidimensional Signal Processing (IMDSP) technical committee, a member of the Board of Governors of the IEEE Signal Processing Society (SPS), and chair of the SPS Big Data Special Interest Group. He has been technical program co-chair of MMSP 1998, ICME 2002, ICIP 2008 and PCS 2013. He has been Associate Editor for the IEEE Transactions on Image Processing (IEEE TIP) and the IEEE Signal Processing Magazine, among others. He is the inaugural Editor-in-Chief of the APSIPA Transactions on Signal and Information Processing, an Associate Editor of IEEE T-SIPN and Senior Area Editor of IEEE TIP. He received the NSF CAREER award, the 1997 IEEE Communications Society Leonard G. Abraham Prize Paper Award, the IEEE Signal Processing Society 1999 Magazine Award, the 2006 EURASIP Journal of Advances in Signal Processing Best Paper Award, the ICIP 2011 best paper award, and a best paper award at Globecom 2012. He was a plenary speaker at ICIP 2013 and APSIPA ASC 2015. His research interests are in the areas of signal compression, representation, communication and analysis. His recent work is focusing on distributed compression, multiview coding, error tolerant compression, information representation in wireless sensor networks and graph signal processing. Almost 40 PhD students have completed their PhD thesis under his supervision at USC and his work has led to over 300 publications in international conferences and journals, as well as several patents. His work at USC has been or is being funded by agencies such as NSF, NASA, DOE, and companies such as HP, Samsung, LGE, Google, Chevron or Texas Instruments. Graph signal processing, digital image, video compression, and communications. signal analysis, sensor networks.